Did you know that Paris has a total of 2016 museums and 1,107 art galleries? 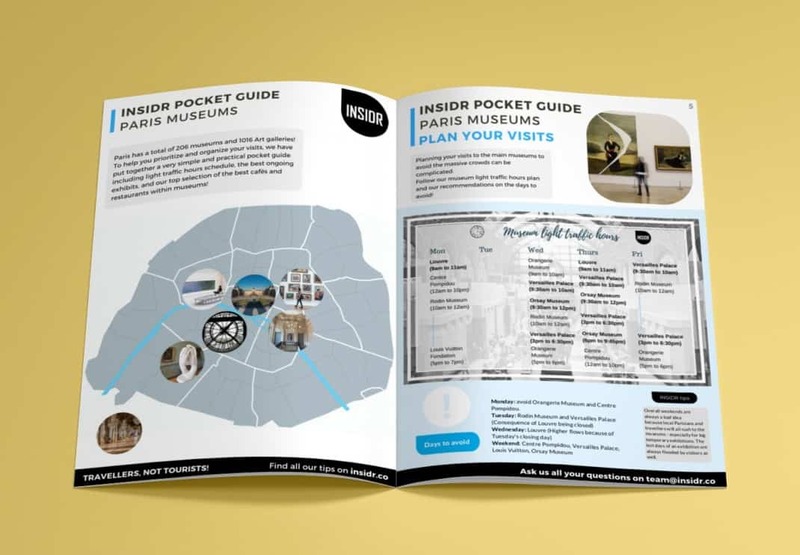 To help you prioritize and organize your visits, we have put together a very simple and practical 2019 Paris Museums Guide that include light traffic hours at the museums, the best ongoing and upcoming exhibitions, and our top selection of the best cafés, restaurants and gift shops within museums! All you need to know about Paris Museums in a concise guide! Coming to Paris without visiting at least 1 museum should almost be made illegal. Paris has one of the richest arts and culture scenes in the world and everyone who gets the chance to come to the city should experience at least some of it. Exploring Paris museums is easy with our Paris museums late night opening chart and optimized visit time schedule! With simple infographics, updated infos and INSIDR local tips you will get all the info you need to understand how to plan your visit to the main museums. The best exhibitions in Paris in 2019 that you should not miss! Our museum guide won’t only introduce you to our favorite museums in the city but also share with you some amazing museums that are off the beaten track and Parisians’ favorite recommendations to plan for the perfect museum spree in Paris! INSIDR tips on visiting museums for FREE! Explore all our tips about Paris on our Paris Travel Guide page! If you are planning to visit many museums and sights, you should consider getting the Paris museum pass which includes skip-the-line access to all the main museums in the Paris region. To help you decide if you really need it or not check our dedicated section in our 2019 Paris Museums Guide. Also for some museums we highly recommend to get your ticket in advance. Popular exhibitions gets sold out weeks in advance! 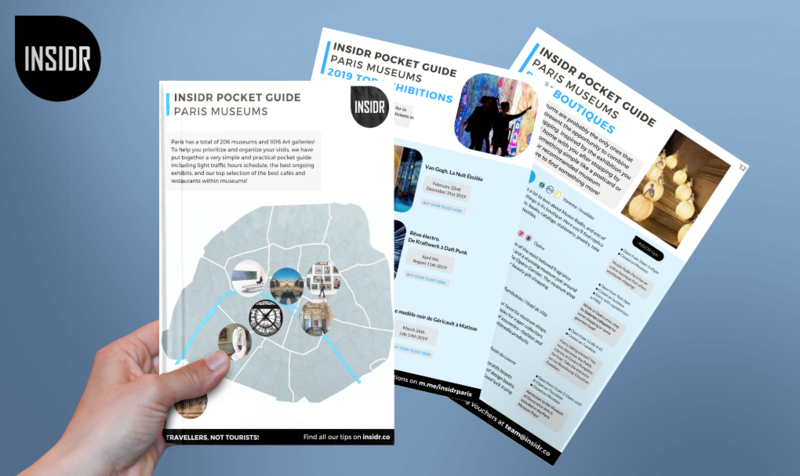 You liked our Paris Museums – Pocket guide? There are more INSIDR free guides! And we have many more INSIDR museums tips for you!